Are you ready for the 100 pages of Mocha Girls? If you think that they are just a simple girl group who gets TV time by dancing and singing on variety shows, think again. There is more to the Mocha Girls than just skin deep attraction. Landing on the cover of UNO, the ultimate guide for men in the Philippines, proves there is more to them than just fleshy beauty. This pop all-girl group has seen its share of beautiful faces come and go, but one thing that has remained constant is the founder and the person who lent her name to the group, ringleader Mocha Uson. 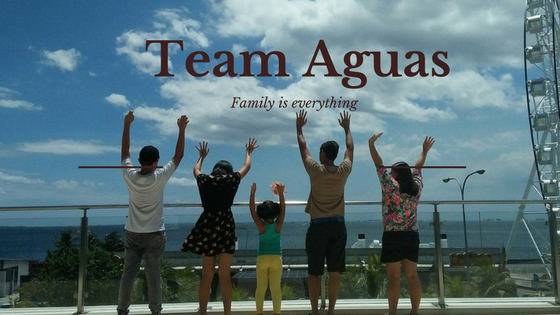 Mocha says what keeps the group going is the drive to reinvent itself. The current members minus Mocha were not there when Mocha Girls started seven years ago. But Mae, Franz, Seika, Georgina, Jhane with Mocha have found a way to use each other's strengths and complement these to form a cohesive, well-oiled pop group that thrives on reinvention. Mocha Girls has earned its share of awards for pop hits and with every new song it has released, continues to prove they are not a one-hit girl-group wonder. In this issue of UNO magazine, readers and Mocha Girls will be treated to a very visual feast of the girls in different titillating poses. And lots of skin bared too. But what makes this UNO issue even more special is the informative featurettes on each member of the group. It provides a rare glimpse into how the girls think, how they feel about things and situations around them--generally, it's like a one-on-one date with a girl you like. And the surprise bonus? The issue contains a free calendar inside, featuring, of course, the Mocha Girls. Go ahead, treat yourself to a dose of Mocha and her girls. It's gonna be well worth it to find out what gets these six ladies going, moving, and rising up. Mark your calendar on November 29 for the launch of Parokya Ni Edgar's latest release "Bente" at the Eastwood City Central Plaza. Bente, which celebrates the band’s 20th anniversary as a group. Bente has two editions – 1 DVD/2 CD and 2 CD. The DVD includes 28 music videos of the band plus two documentaries. The 2 CD has a total of 29 tracks (27 of the band’s biggest hits plus 2 brand new tracks). Bente also includes their newest single Ang Parokya, which talks about the beginnings of the band. It also features Gloc-9 and Frank Magalona. 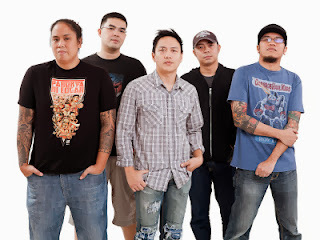 Ang Parokya is the second time that Parokya Ni Edgar, Frank and Gloc-9 collaborated in a song. The music video of the song is also included in the DVD. For avid fans, two documentaries are included in the DVD– Ang Kuwento ng Parokya and Ang First Gig ng Parokya. Those who will buy Bente on the launch date will get free T-shirt and a poster, on a first come, first served basis. Part of the proceeds of Bente will be donated to the Philippine Red Cross – Quezon City Chapter. 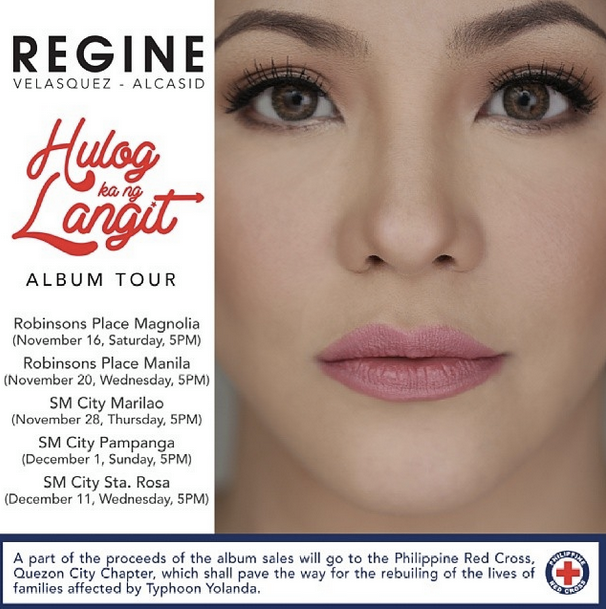 The Asia’s Songbird Regine Velasquez has recently launched a number of special projects for the benefit of the Typhoon Yolanda victims like the auction of her personal items. Aside from this, Universal Records and the Songbird recently released the album Hulog Ka Ng Langit, part of its proceed goes to Philippine Red Cross. 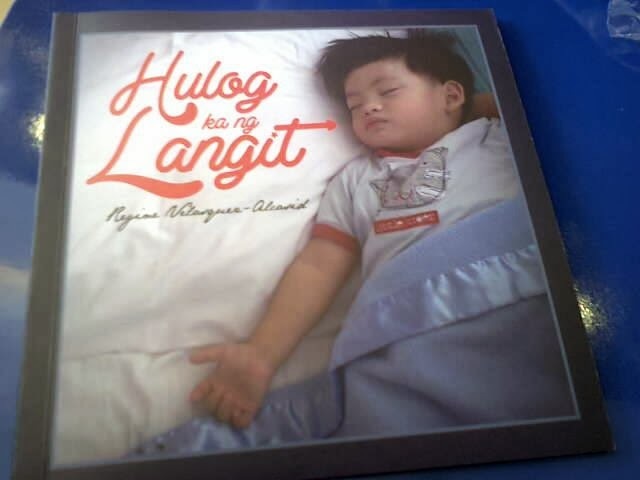 “Hulog Ka Ng Langi”t album, composed of songs that give inspiration to wives and mothers, has the beautifully-penned Hulog Ka Ng Langit as debut single and title track of the album. The song truly embodies what the album is all about – unconditional love between husbands and wives, and mothers to children. 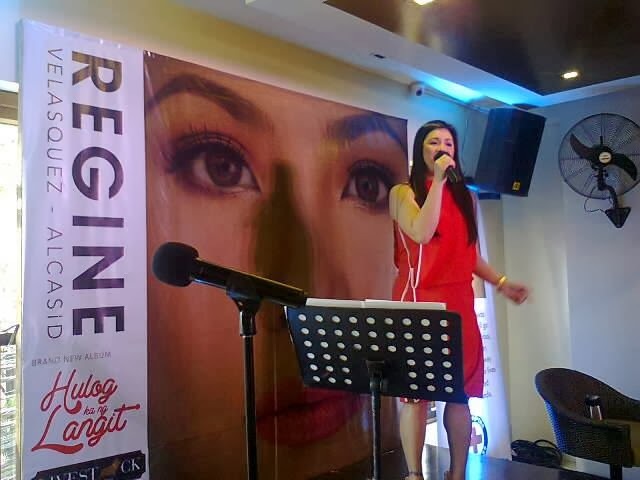 Regine recounts that when work has started for the album, the whole team was leaning towards making a baby album. 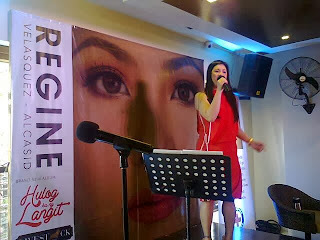 The songbird, however, felt that love songs that have more general messages to be included in the album. 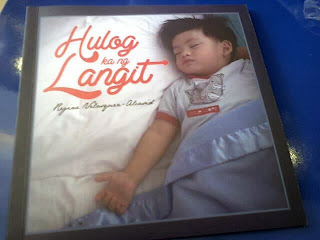 Hulog Ka Ng Langit promises to give the public an inspiration to continuously hope for their own happiness with people they truly love and care for. SM Sta. Rosa (December 11, Wednesday). All shows start at 5:00 p.m.